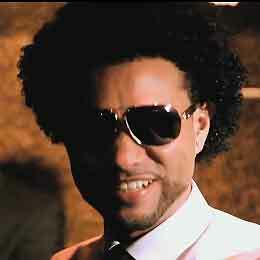 It Is Unmissable: Mala Fé will be with us tonight! Just a little taste of what is ready for you all tonight! Join the party! 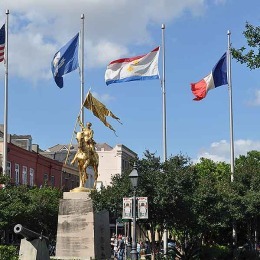 ¡Viva Nueva Orleans! You asked us for a digital version of the Carnaval Latino 2015 poster, so here it is. You can dawnload your copy from this page, using the instructions below the poster. Enjoy it, and join the party! 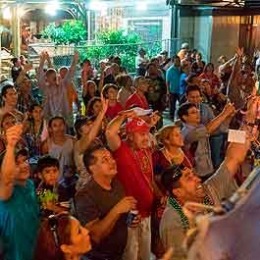 ¡Viva Nueva Orleans! 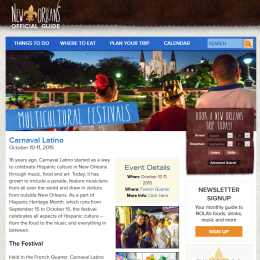 Carnaval Latino 2015 it’s proud to announce that this year’s event will be held at 2940 Royal Street in New Orleans. 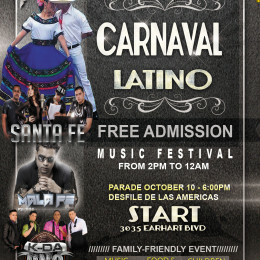 Launching the festivities will be the Desfile of the Americas parade. 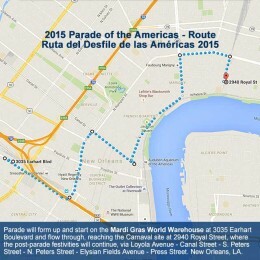 For details, please visit Desfile de las Américas / Parade of the Americas page. 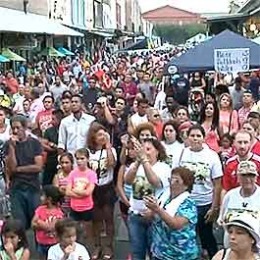 See the Carnaval Latino New Orleans promo video broad to you, courtesy of Telemundo Canal 42 New Orleans. NOTE: If you want, you can load the video on YouTube. To do so, click on the youtube link at the bottom right of the video window.